Sarah Rommel appeared on Show 162, recorded in June 2007, at age 18. The Newman Advanced Study String Quartet is comprised of Justine Lamb-Budge, (violin) 15, from Wayne, PA; Robyn Bollinger, (violin) 15 from Haddonfield, NJ; Paul Laraia, (viola) 18 from Sewell, NJ; and Sarah Rommel, (cello) 18 from Sicklerville, NJ. 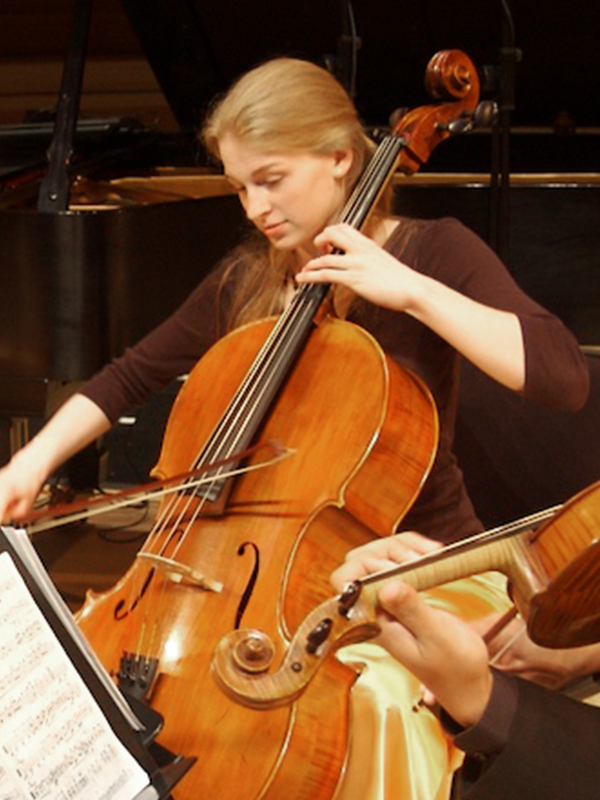 Justine and Sarah are recipients of From the Top’s $10,000 Jack Kent Cooke Young Artist Award. Sidney Curtiss coaches the quartet at Settlement Music School in Philadelphia. Sarah is a Jack Kent Cooke Young Artist.